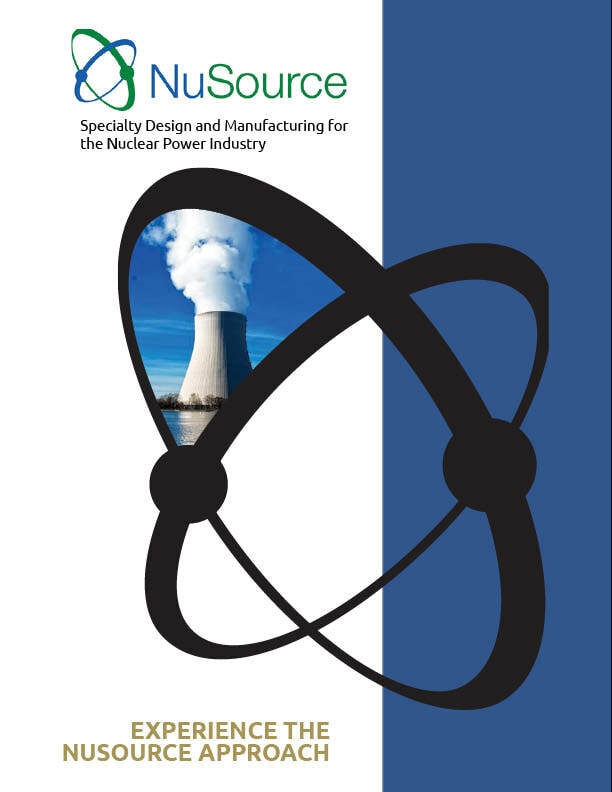 NuSource supplies safety-related hardware solutions to the nuclear power industry. We specialize in difficult-to-solve replacement solutions that are critical to plant operation and regulatory compliance. For every project, NuSource delivers the engineering expertise, the nuclear industry knowledge, and the manufacturing skills needed to supply the solution that best meets all of the customer, plant, code, project, and documentation requirements. NuSource was formed by two companies who shared the common goal of providing customers with the attention, quality, and service demanded by the nuclear industry to safely, efficiently, and cost effectively operate their facilities. We acknowledge that nuclear industry oversight groups and regulators consistently identify the lack of understanding, translation and compliance with design inputs as the biggest obstacle to successfully supplying critical nuclear plant equipment solutions. ​NuSource set out to meet this challenge. ​ The NuSource quality assurance program meets the requirements of ASME Section III and 10 CFR 50 Appendix B. Minimum 10 years sales experience with safety related hardware (product) in the commercial nuclear industry. ​Understanding of the mechanical and electrical components within a nuclear power plant. Existing contacts and relationships at nuclear utilities, NSSS vendors and other industry participants. Experience with Quality Assurance Programs including ASME Section III and NQA-1.